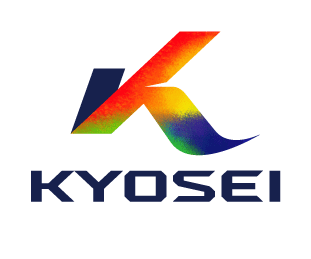 Product Example | Decoration and Interior | Kyosei Co., Ltd.
Signboards & nameplates, wall interiors, lampshades, accessory parts, stationery & miscellaneous items, smartphone & PC covers, bookmarks, business cards & other cards, kitchen tools, kitchen accessories, and more. You want to add a premium atmosphere to the interior or exterior of shops, commercial facilities, automobiles, etc. You want to make interior goods like delicate, beautifully crafted items. You want to create promotional items or souvenirs at a low cost with a high-end feeling. High-class signboards and nameplates help generate trust in offices and shops. In combination with the right lighting, you can also create spectacular, glittering ambience. Because it allows expression with a solid, three-dimensional feel, this process is perfect for interior or exterior design for shops, commercial facilities, automobiles, and more—wherever a touch of luxury is required. We can achieve beautiful designs such as cutout pictures and stained glass effects. Enjoy different impressions depending on whether the lamp is illuminated or not. Illustrations and designs can be used directly for accessory parts. Also ideal for artists who hand-create their work. Follow your own design ideas to make items such as clips, straps, key holders, and much more. Use your favorite photos etc. to make original covers. These are popular as premium novelty goods and souvenirs. Perfect for branding, both for individuals and stores. We can manufacture these in gold, silver, platinum, and more. We can also create mirrored finishes and more. We created a sterling silver traditional Japanese kabuto helmet using etching processes. We can produce one-off luxury craftworks in gold, silver, platinum, and other materials. Reproduce any expression, no matter how fine. We can use your original photo data. Decoration in precious metals etc. is also available.